RallySport Direct is proud to carry high-performance turbocharged components and accessories brought to you by Turbosmart. 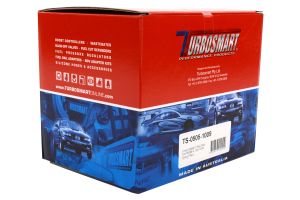 Turbosmart designs and manufactures top quality turbocharged components to improve the power and performance of your vehicle. On this page, you are looking at the Turbosmart Comp-Gate 40 Universal External Wastegate. This component has been designed to provide your vehicle with optimal boost control. I just purchased this wastegate along with gs uppipe. I was wondering which spring initially comes with the ewg, my tuner suggested I use a 14psi rated spring. A: The spring that comes with the wastegate is rated at 14psi, so it should work well for your setup.